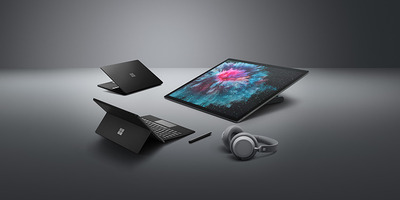 We saw the company show off the new Surface Pro 6 tablet/laptop hybrid; the Surface Laptop 2; the Surface Studio all-in-one desktop; and, to cap it all of, the surprise of the $US349 Surface Headphones. Here’s everything Microsoft just announced – and our first impressions of the new gear, after getting to go hands-on with all four devices following the event. Surface Pro 6, $US899, available on October 16th. This is the latest iteration of Microsoft’s flagship line of laptop/tablet hybrids. 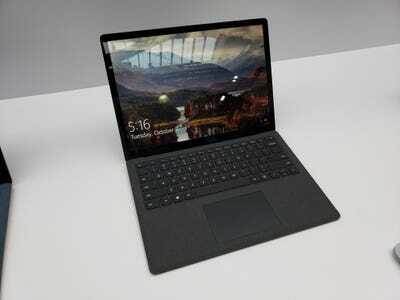 In terms of design, it’s not much different from the current-generation Surface Pro, currently on store shelves. The Surface Pro 6 does, however, sport a modern quad-core Intel processor, which Microsoft says makes it 1.5 times faster than its predecessor. In terms of aesthetics, you can get the Surface Pro 6 in a new, sleek matte black finish – though that option only comes with certain higher-end models, which will run you more than the $US899 starting price. 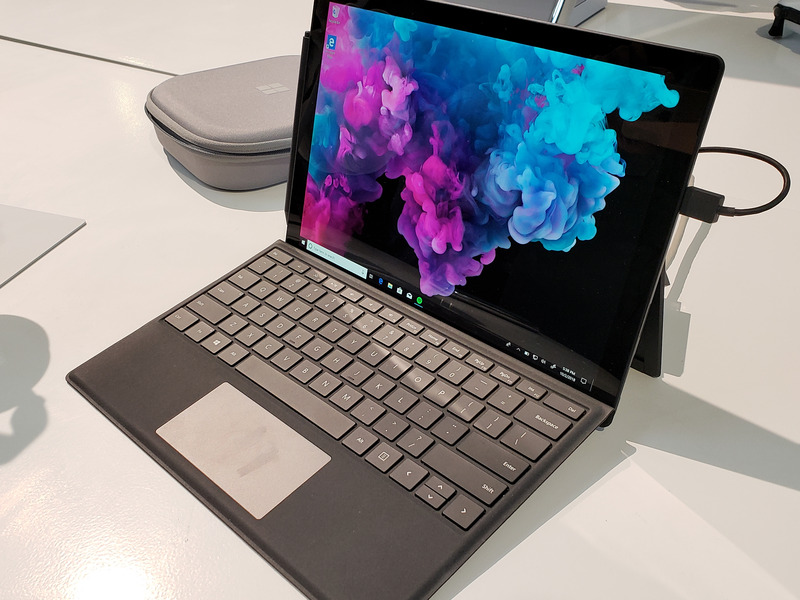 In our hands-on time with the Surface Pro 6, we found that Microsoft didn’t mess much with its own winning formula. However, it’s worth noting the somewhat puzzling absence of a USB-C port, which the tech-savvy might find disappointing. Surface Laptop 2, $US999, available on October 16th. The Microsoft Surface Laptop 2 is an update to last year’s original-recipe model. When we tried the Surface Laptop 2, we didn’t find that it changed much from the original version. However, that’s not necessarily a bad thing: The Surface Laptop 2’s screen, its high-quality trackpad, and its slick design give it an overall feel that can best be described as Apple-esque. If it ain’t broke, don’t fix it. Surface Studio 2, $US3499, available on November 15th. Microsoft’s all-in-one Surface Studio 2 is both powerful and gorgeous – but at a $US3,499 price tag, it comes at a significant premium. The headlining feature of the Surface Studio 2 is its gorgeous screen, which Microsoft says is brighter than the previous model, with better contrast. Just like the older model, the Surface Studio’s screen is on a unique swivel hinge that lets you bring it down to a comfortable angle for sketching or editing. Apart from the improvements to the screen, the changes in the Surface Studio 2 aren’t super obvious. 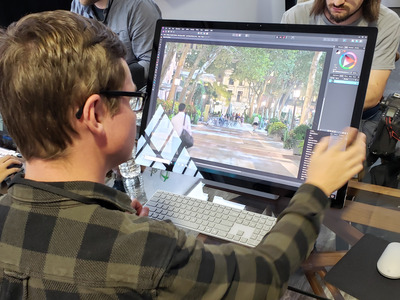 It has a faster processor, a speedier SSD hard drive, and better graphics hardware from Nvidia – something that’s not super-obvious from a quick hands-on session, but that could make a big difference to pros using the Surface Studio 2 in the real world. A surprise from Microsoft’s event: The Surface Headphones, a premium pair of headphones that Microsoft promises will be available later this year. They’re wireless, charge via USB-C, and have noise cancellation features. They also let you summon Cortana, Microsoft’s voice assistant, and its answer to Apple’s Siri and Amazon’s Alexa. It’s hard to tell at a Microsoft event just how well these headphones will work. 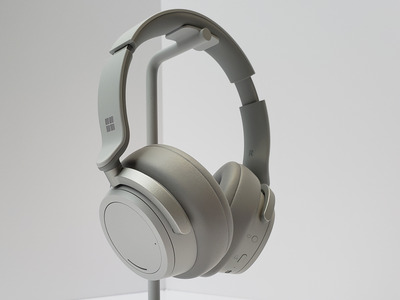 Still, even with the hefty price tag, it’s clear that these Surface Headphones have a lot of promise, and could perhaps even present some worthy competition to the likes of the popular Bose QuietComfort Series III headphones.